This is a sponsored post. Although this post is sponsored, all opinions are my own. This post contains no affiliate links just a link back to the sponsor British Lion Eggs. I have finally accepted Summer is really over, the wind and rain have arrived in Scotland and so has the limited daylight hours, and the clocks haven’t even gone back yet! 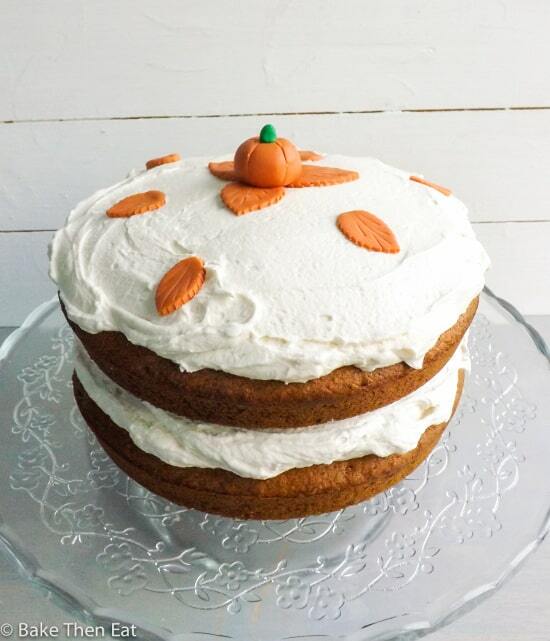 Oh well, time to bring on all the Autumn flavours and to kick off the season I am sharing this super duper Spiced Pumpkin Cake with Maple Frosting. Its like Autumn overload in a cake…. Perfect! Lets face it, we food bloggers go a little mad at this time of the year and its wall to wall pumpkin. Is this a bad thing? I think not, I have to admit to having tins of pumpkin all year round in my kitchen. I find it a great ingredient to have on hand. Especially for cakes and treats and I really love pumpkin soup. No matter what the time of year is. But enough about me and back to this cake. A lightly spiced tender pumpkin sponge is the real star of this bake. 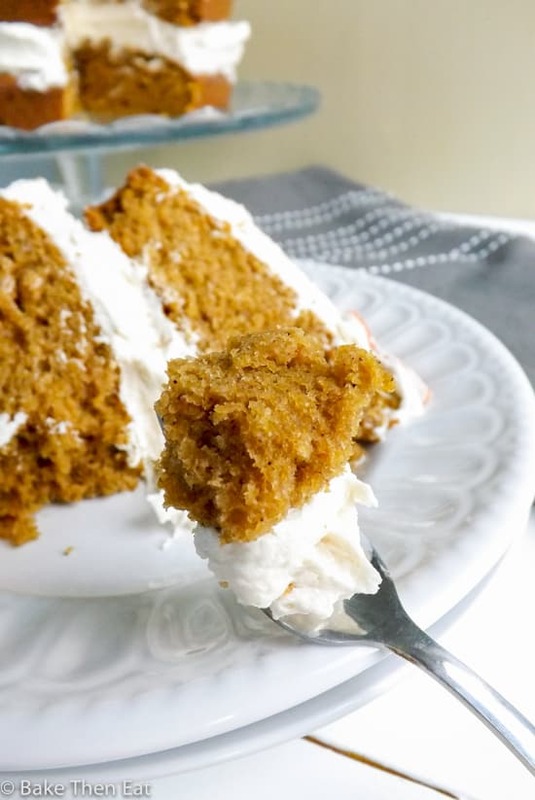 The pumpkin stops the cake being overly sweet, giving it an almost savoury edge. Which is great when its smothered with this much frosting! The sponge is made with buttermilk, which is really a wonder ingredient. It can tenderise a bake like nothing else, making it light and soft which is what you want when using a heavy wet ingredient like pumpkin. The usual pumpkin pie spice suspects are in here too. Nutmeg, cinnamon, cloves, allspice and a little ginger. I could have just used pumpkin pie spice but its not available in the UK. I do actually have a jar in my house as I make my own. If you live in a country where it is not available then try making your own pumpkin pie spice, its so easy and quick to put together. But to keep things simple I used separate spices for this cake. But if you do want to use pumpkin pie spice then just sub all the spices for 2 teaspoons instead. I know I mentioned before about the mounds of frosting on this spiced pumpkin cake, but it is worth mentioning again. This frosting has the maximum amount of male syrup added to it before it turns into a big gloopy mess. (Yes I did find out the hard way). It has 90 millilitres (3/8 cup) in it . Now considering the cost of good quality maple syrup that is quite a lot. 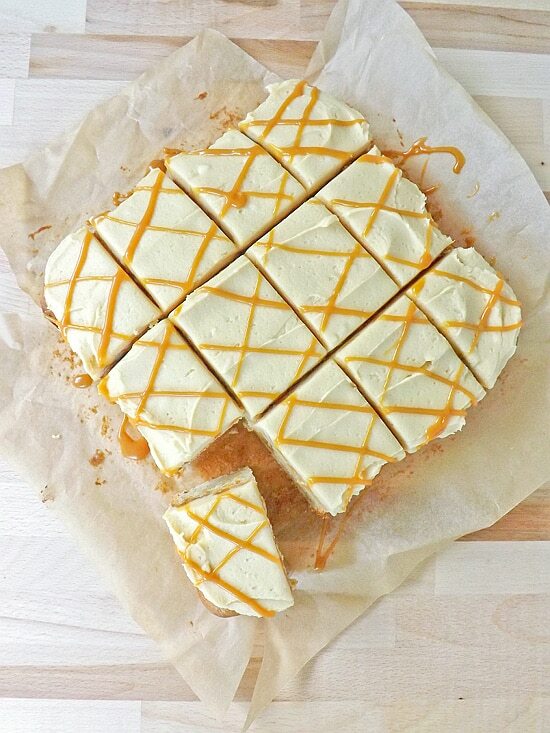 But its so worth it, the slight coffee caramel undertones the maple syrup adds to this frosting is amazing. 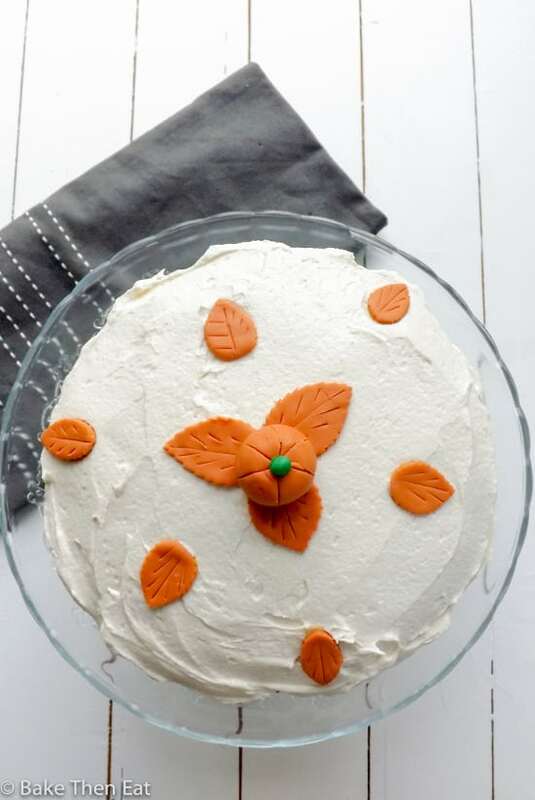 The savoury edge of the cake mixed with this sweet frosting are truly a perfect match. All these amazing flavours just scream Autumn and I could think of no better way to welcome in the Fall season. When British Lion Eggs asked me if I wanted to do another post for them I jumped at the chance. 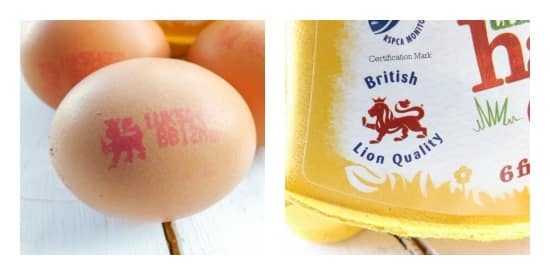 I love eggs I buy and use so many and the stamp of quality and safety provided by British Lion Eggs is a real comfort to me. I know my eggs have been checked and are safe. This time they want me to highlight the calories in an egg. I have to admit to being a bit ignorant on this, hey I use them in cakes the last thing I worry about is the calories in an egg, but you know what its a lot less then I realised. 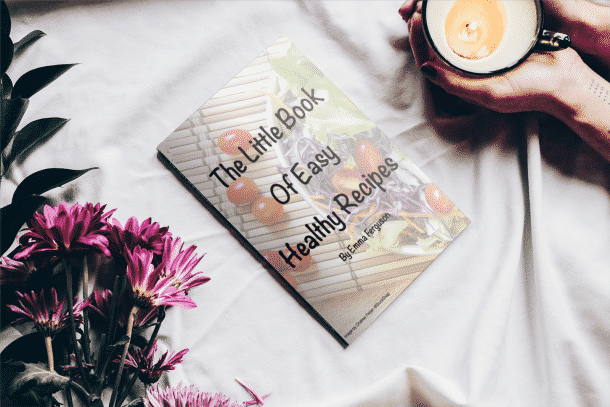 No wonder these little brown eggs are so good for you! And just look what eggs can do for you, they can make cakes! A lightly spiced pumpkin sponge cake held together with mounds of light and fluffy maple frosting. 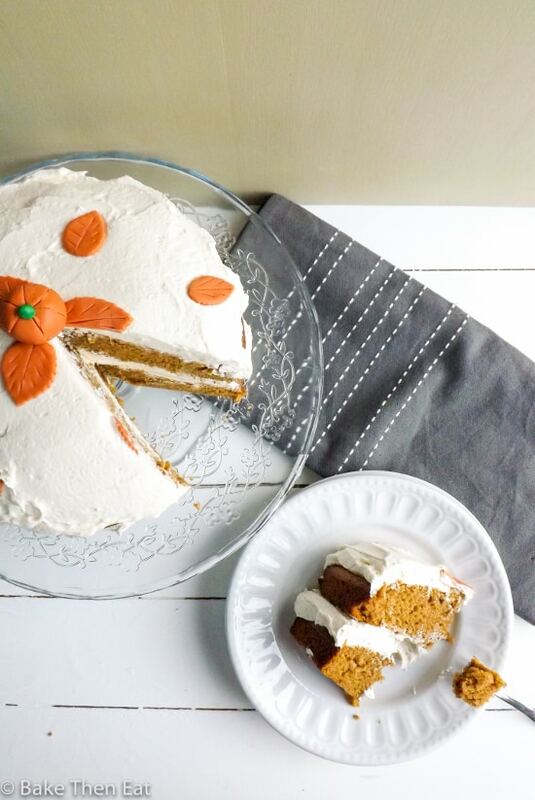 The perfect cake to welcome the Fall season in with. Preheat your oven to 180C / 350F / Gas mark 4. Lightly grease two 20 centimetre (8 inch) cake tins and line the bottom with baking parchment. 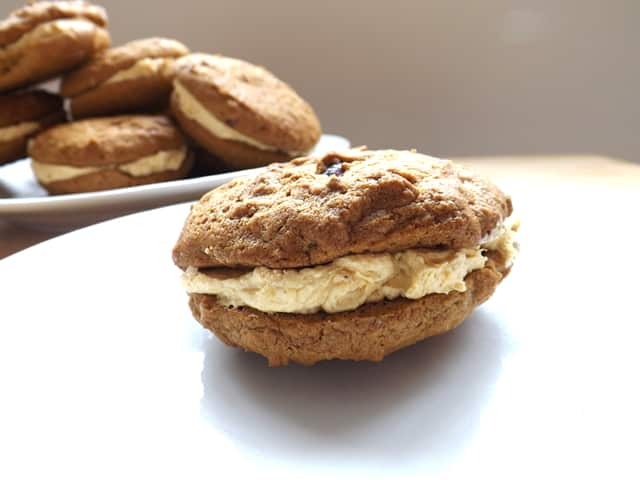 Beat the butter and sugar together in a stand mixer or with a hand electric mixer till they are pale and fluffy. Add the eggs one at a time beating in-between each addition. Add in the pumpkin puree and vanilla and mix till everything is well incorporated. Don't worry the batter is going to split this is perfectly normal. In a medium sized bowl sieve the flour, baking powder, baking soda, salt and spices together. If you don't own a sieve then place them all together in a bowl and give them a good whisk together. Now add in 1/3 of the flour and spice mix to your mixer and mix on a low speed. Add in 1/2 of the buttermilk and again mix on slow, followed by another 1/3 of the flower mix. Add in the final amount of buttermilk and mix again on slow. Then add the remaining flour spice mix and mix on slow, scraping down the sides of the bowl as needed. The important thing is to start and end with the flour. Divide the batter between the two tin and flatten it out till it covers the whole base of your tins. Pop them in your hot oven and bake for about 25 minutes. Check them at the 20 minute mark and if they are ready take them out, if not return them to the oven for a further few minutes. You want the sponge to be firm to the touch and a pick to come out clean when inserted into the middle of the cake. Once baked take the tins out of the oven and allow them to sit in their tins for 10 minutes then turn them out onto a wire rack to fully cool down. Beat the butter in your stand mixer or bowl using an electric hand mixer until it is very pale and fluffy. This can take anything from 5 to 8 minutes. Add in the icing sugar and beat on slow until everything is very well mixed in. Then turn it up to medium and beat for a further 2 minutes. Pour in the maple syrup and on a medium speed mix until the the syrup is well combined with the frosting. On the bottom half of the cake spread half of the frosting all over it. Lightly place the other half of the cake on top and spread the remaining frosting all over it. I just used a little orange fondant icing to make a few leaves and a small pumpkin but decoration is not essential, just a bit of fun. 1. If you have pumpkin pie spice on hand you can substitute all the spices for 2 teaspoons of it instead of all the individual spices.2. Kept in an air tight tin in a cool room this cake will keep for 5 days. If you keep this cake in the fridge bring it back to room temperature before serving. Note: I received compensation in exchange for writing this post. 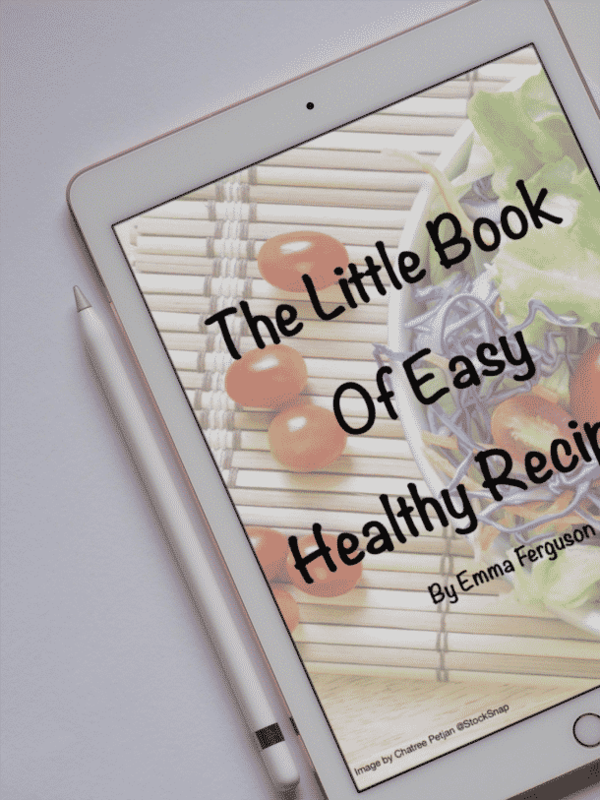 Although this post is sponsored, all opinions and choice of recipe are my own. This post contains no affiliate links, just a link back to the sponsor British Lion Eggs. All they asked of me was to highlight the calories in an egg. This looks so moorish! Absolutely loving the fall theme too! 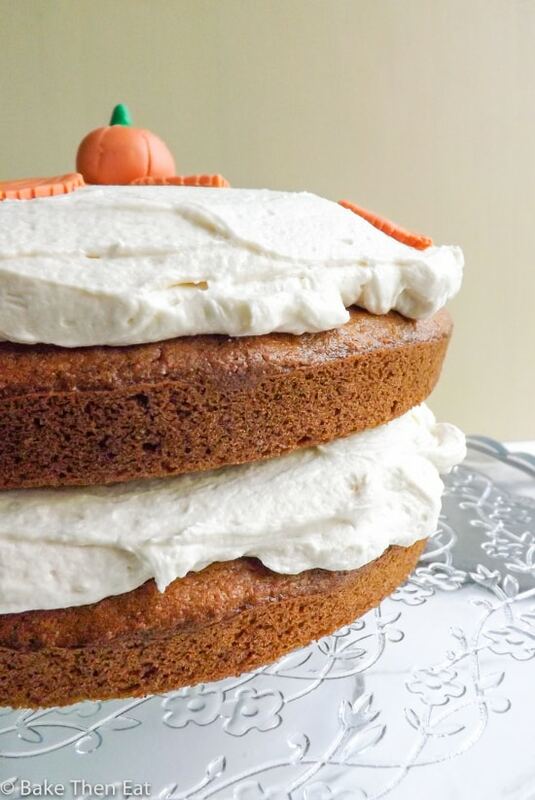 Spice cake is one of my all-time favorite meals. LOL I’m so eager to try this one! Hi Maureen, thank you 😀 I do love spice in my cake! Emma, your cake and frosting look just terrific!!! I’d be sampling sliver after sliver till half the cake was gone! And your garnishes are just perfect. What a marvelous autumn dessert. Hi Liz, thank you. I did sample slither after slither to the point I had to give all the cakes away because I had zero control! This cake looks amazing. Emma! It definitely screams fall! Love the maple frosting! It sounds just perfect! 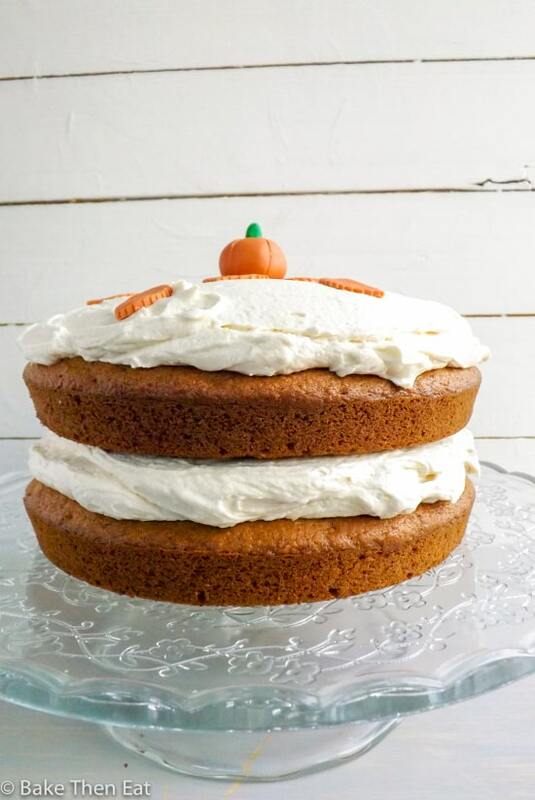 This cake definitely screams autumn! I love it! And that maple frosting! 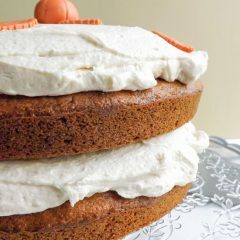 I really love the smooth and light crumb of this pumpkin cake..would devour the whole cake even without the frosting! Good job, Emma.